Home » Sobre nós » Blog » What is members area traffic? What is members area traffic? Have you tried targeting your campaigns at dating membership area traffic yet? 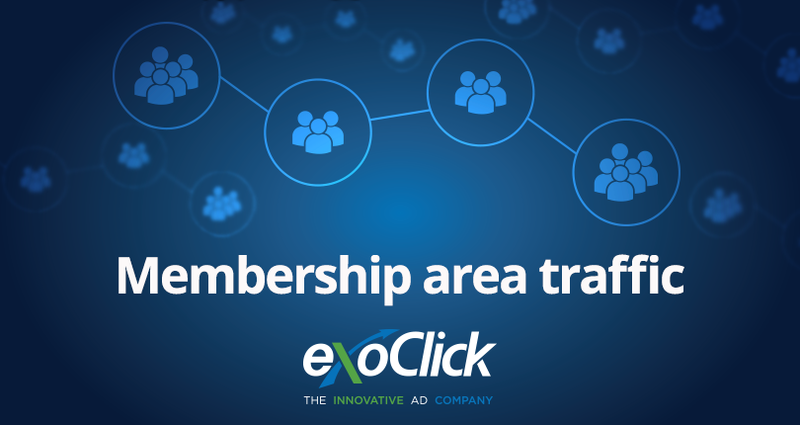 ExoClick gives advertisers the best opportunity to target their offers at this high converting traffic source. It consists of consumers who are members of dating sites, mainly from tier 1 English speaking GEOs in USA, Canada, UK, Australia and New Zealand. Consumers have joined these dating services and regularly login to their accounts and spend a considerable amount of time browsing and interacting with the profiles of other site members. For this reason this traffic is one of the best converting traffic sources for advertisers because they are highly engaged users, some of whom have used their credit cards to purchase memberships. This traffic is ideal for dating, live cam and health offers. What are the ad formats? Formats are mainly banners of various sizes including 300×250 but also popunders and tabs. Ad spots are available on both desktop and mobile. Advertisers obtain much higher visibility compared to free content sites because of the limited ad placements available within each membership site, so you are not competing with many different offers fighting for the consumers attention on the same page. What is the cost and CTR? Banner CPMs range from $1 to $2.40. Ads that appear inside membership sites tend to generate a CTR that is 10 to 40 times higher than those that appear on a free content site. Traffic can be purchased on RON and will feature across a range of dating sites via ExoClick’s partnerships with several high profile partners including the #1 converting dating program Traffic Mansion. There are 13.5 million daily impressions available. How can you buy this traffic? 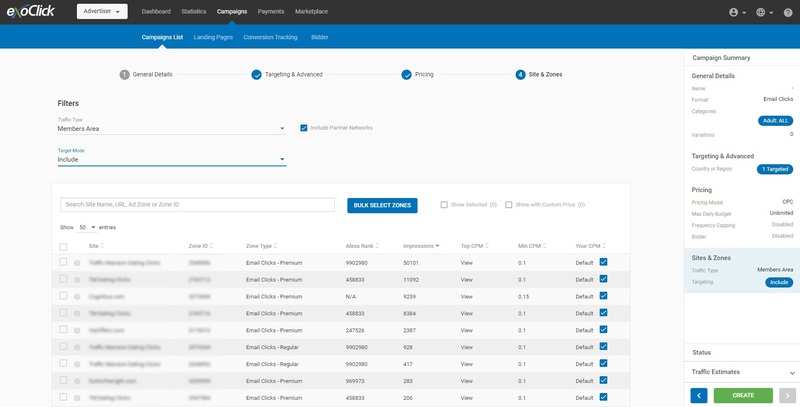 A drop down list of dating membership sites and available Email Clicks will be revealed allowing you to select which membership sites you want to target with your email campaign. If you need further assistance speak to your account manager or contact a Client Care Agent.